Plans for more than 100 new homes near the former RAF Church Fenton airbase have been submitted to Selby District Council. Planning and design consultancy Barton Willmore has supported Bellway Homes in the application for 119 homes, including two, three and four bedroom properties. STEN Architecture designed the layout for the proposed development. 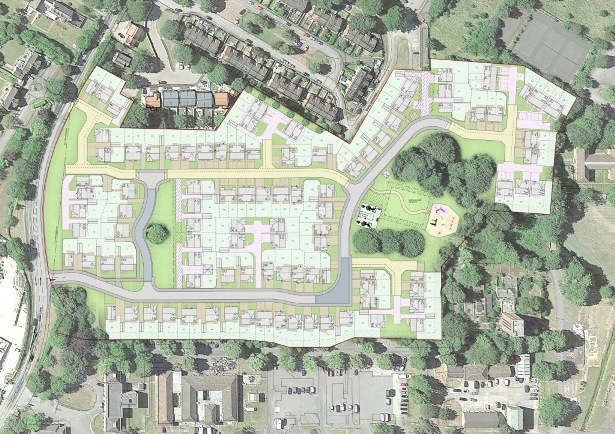 Stuart Natkus, planning director at Barton Willmore, said: “These plans will not only deliver much-needed new homes, but also significant regeneration of a derelict brownfield site. “Barton Willmore secured outline planning permission for this site some years ago, so it’s great to see a developer now driving forward proposals. The proposed development will be served by a new access road from Busk Lane.